Proven programs designed to deliver profitable results fast. 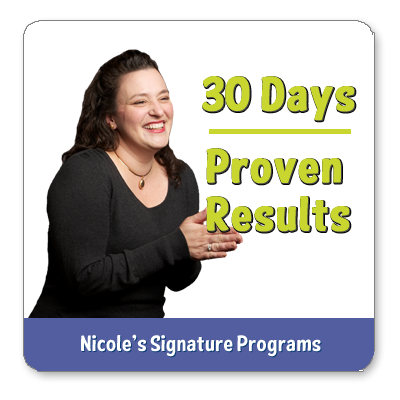 Leverage Nicole’s 20+ years of experience to clear your path to profit today. 30 Days to Profitable Pricing Get the numbers monkey off your back. Learn how your day to day activities determine how much money you pay yourself. Learn more. 30 Days to Systems Prosperity Replace chaotic uncertainty with fun systems that fuel your success. Learn more. 30 Days to Profitable Product Creation Develop products and services that fulfill your mind, heart, and bank account. Learn more. Have a burning question? Get your actionable answer fast. 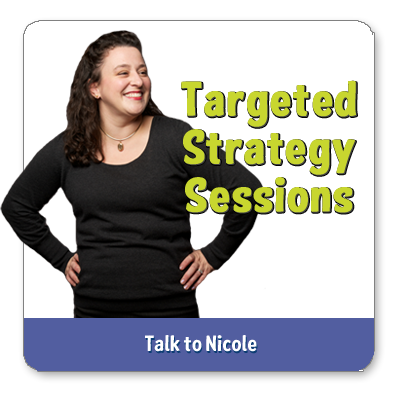 Book a one-on-one strategy session with Nicole. Discover Which Program Fits Your Unique Needs. Schedule Your 30 Minute, No Cost, No Obligation Call Today.